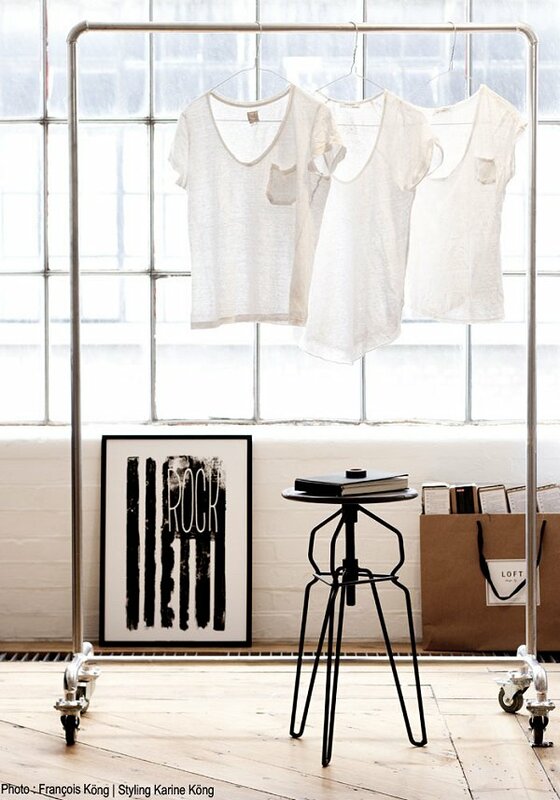 vosgesparis: Industrial Coat racks | Because they rock ! How about this amazing picture! I love the contrast between the soft white Tees and the industrial background in the new Bodie and Fou Office. I have always loved coat racks, especially if they have an industrial touch. 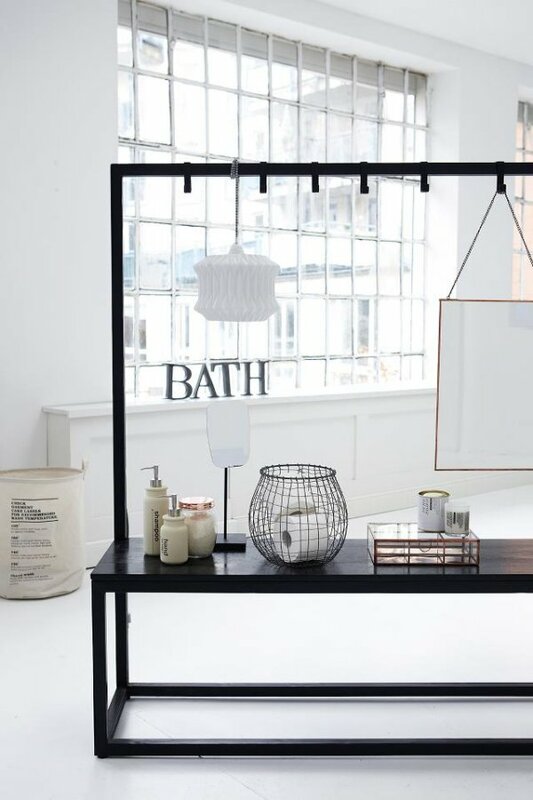 Making an inviting corner at your own home with a coat rack is really easy, if you would like to do so, here how to do this: Create some Parisian chic at home. The coat rack in the last picture on the right is made out of copper pipes, I am still really happy with my own coat rack but otherwise this one would be on my wishlist as I think is really cool.